“Synaesthesia” – a project of Tatyana Kolganova and Olesya Rostovskaya is a tribute to Eugene Murzin who build his first ANS synthesizer in Moscow in 1958. This year we are celebrating 100 year anniversary of this great man who realized the idea to melt together composing, performing and recording of music. ANS “reads” graphic image on a glass pane and converts it into sound. The conversion of images into sound is not a circus, not a show, not the external effect but the basic constructive method of ANS synthesizer. Tatiana Kolganova is a graphic artist and she proposed no ANS her specially designed images. Olesya Rostovskaia as a composer wrote “note” score for ANS. Both artists produced picturesque imageries and powerful sound. 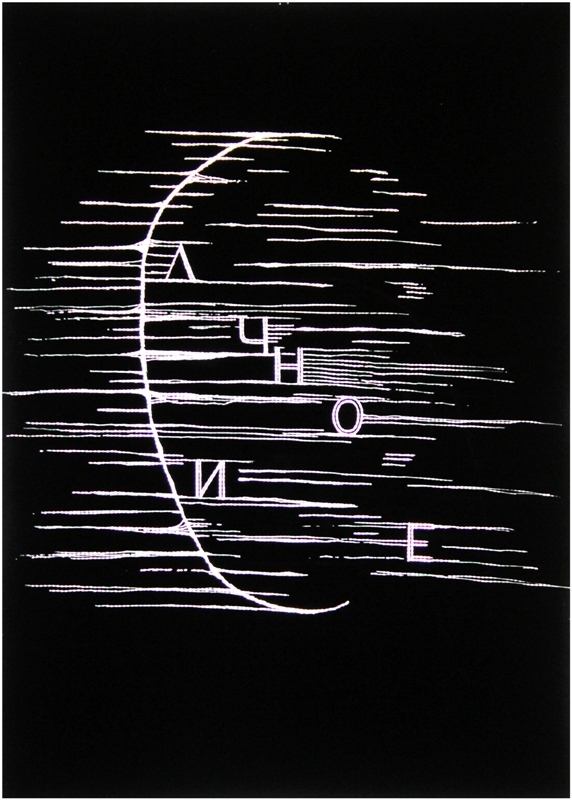 At the exhibition in Music Culture (Glinka) Museus in Moscow six scores are exhibited in six light boxes, Three were created by graphic artist, the three – by the composer. In our program you will have a unique possibility to hear this project live. Tatiana Kolganova was born in 1976 in Moscow. Russian visual artist now lives in the Hague. Her interests are extremely broad – drawing, printmaking (woodcut, lithography, etching), painting (oil), graphic design, installation, photography and film making. Olesya Rostovskaya was born in 1975. In 2000 she completes her study at Tchaikovsky Moscow Conservatory with specialization “composition” (class of Professor and head of CMC and in 2001 with specialization “organ”. Olesya Rostovskaya has huge activity as a composer with her compositions for symphony and chamber orchestras, different ensembles, choir, organ, carillon, Theremin, vocal, music for theater, radio, electro acoustic music, which already played in Russia, Ukraine, Kazakhstan, West Europe and USA. Olesya Rostovskaya also is active performer with authentic, classical and contemporary repertoire and improvisations. She recorded CD “Soul of a Bell; Russian carillon music”, she made cycles of radio-programs about theremin, organ and carillon music.